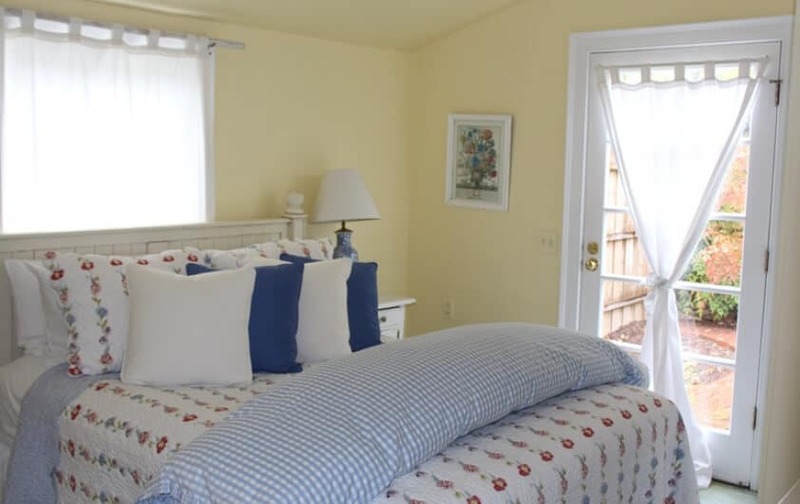 Don’t just book a hotel in Irvington, have an experience and learn what it’s truly like to arrive in style when you walk into this bright and sunny cottage. 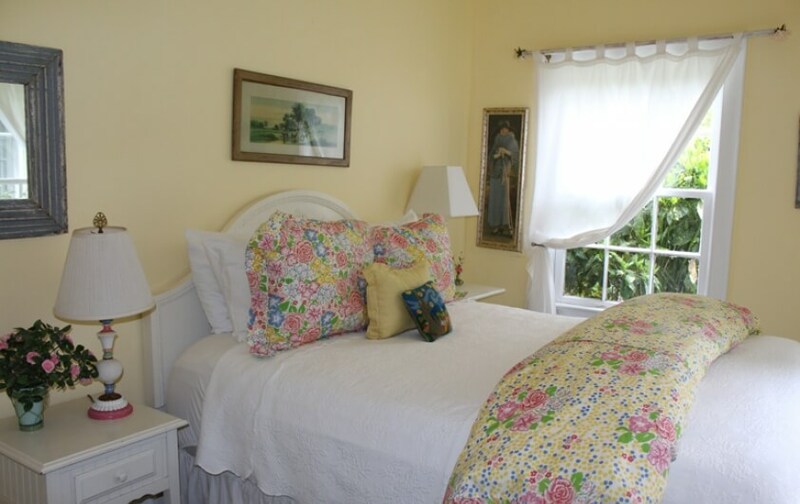 In pinks, whites, and yellows, our designers have created a space that is equal parts peaceful and joyful. With two premium Queen bedrooms to sleep in, piles of luxury bedding and fine linens to sink into, you’ll be relaxed in no time. 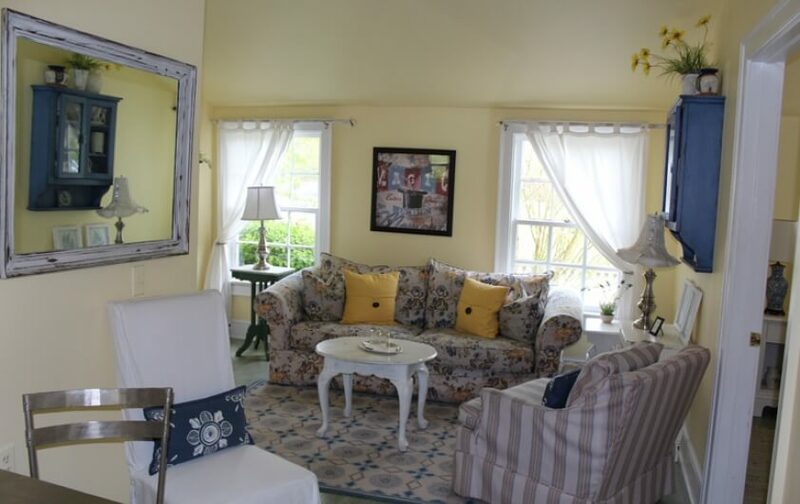 Unwind after a day of travel or sightseeing in this cottage’s living room — complete with flat screen TV and country-themed furniture. Waltz out onto the fenced and private garden patio for a glimpse at the clear night sky or view of the beautiful flowers. Even take a long, hot shower with our Gilchrist & Soames luxury toiletries in the private bath and spend the rest of the night wrapped in terry towels or a waffle bathrobe. We’ve also provided a hair dryer, iron, ironing board, fan, and a flashlight for your needs. Our skilled staff will have your room tidied up and refreshed each day and you can linger over our complimentary breakfast.